Registration Fees Include: Admission to all conference activities, which will take place at or near Gargnano’s University of Milan Conference Center, Palazzo Feltrinelli, as well as 3 lunches, 4 dinners (including the Gala Awards Dinner Thursday evening), and 4 morning coffee breaks. Due to space restrictions, no partial registrations will be possible. All fees are in USD. All conference attendees must be or become members of the D.H. Lawrence Society of North America (DHLSNA) for 2014, a nonprofit organization run by volunteers. The modest dues are included in the registration fee for non-members ($25 Reg or $10 Student) in order to cover website and administrative costs as well as the financial risk assumed by the DHLSNA on behalf of the 13th International D.H. Lawrence Conference. To check DHLSNA membership status, visit the roster of current members online to see if you need to select DHLSNA membership along with your conference registration (Are my dues current?). Additional charges apply for some Excursions. These will be collected in cash (euros) on site. We would appreciate a tally of those interested in the two excursions thus far planned, so please visit their webpage and read up on them prior to registration so you can mark your interest on the form. This estimate will aid in arranging tour groups. Additional excursions/times may be added later, and you will be notified by email of those. Conference participants are responsible for making their own bookings for accommodations. Information about hotels offering discounted rates for conference-goers is available online on the Lodging web page. In Gargnano, breakfast is often included in overnight hotel rates. See the conference program for panel topics/ schedule, and see the Directions for information on getting to Gargnano. Direct and affordable group transport from Gargnano to Milan’s Malpensa Airport may be available Saturday the 28th, after the boat excursion, if a sufficient number commit to this option on the registration form (cash payment will be collected at registration in Gargnano on Monday afternoon, 23 June). A page on Panel Guidelines for Chairs and Speakers has been added in June. The guidelines can also be printed out in Word and brought with you for convenience. Please read through the guidelines to help insure smooth running conference sessions. The conference is now sold out. If you are presenting a paper and haven't completed registration, please contact Tina Ferris for instructions on registering. 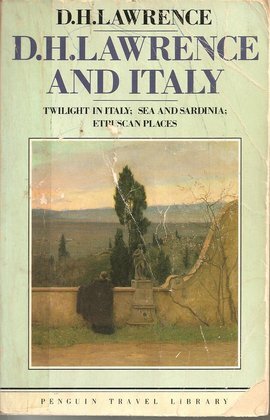 "It is all so strange and varied: the dark-skinned Italians ecstatic in the night and the moon, the blue-eyed old woman ecstatic in the busy sunshine, the monks in the garden below, who are supposed to unite both, passing only in the neutrality of the average. Where, then, is the meeting-point: where in mankind is the ecstasy of light and dark together, the supreme transcendence of the afterglow, day hovering in the embrace of the coming night like two angels embracing in the heavens, like Eurydice in the arms of Orpheus, or Persephone embraced by Pluto? "Where is the supreme ecstasy in mankind, which makes day a delight and night a delight. . . . Why do we not know that the two in consummation are one; that each is only part; partial and alone for ever; but that the two in consummation are perfect, beyond the range of loneliness or solitude?" If you are having trouble with the payment portion of the conference registration process, we've provided more detailed step-by-step payment Instructions and Tips to help guide you. We want you to have a smooth and easy registration experience.